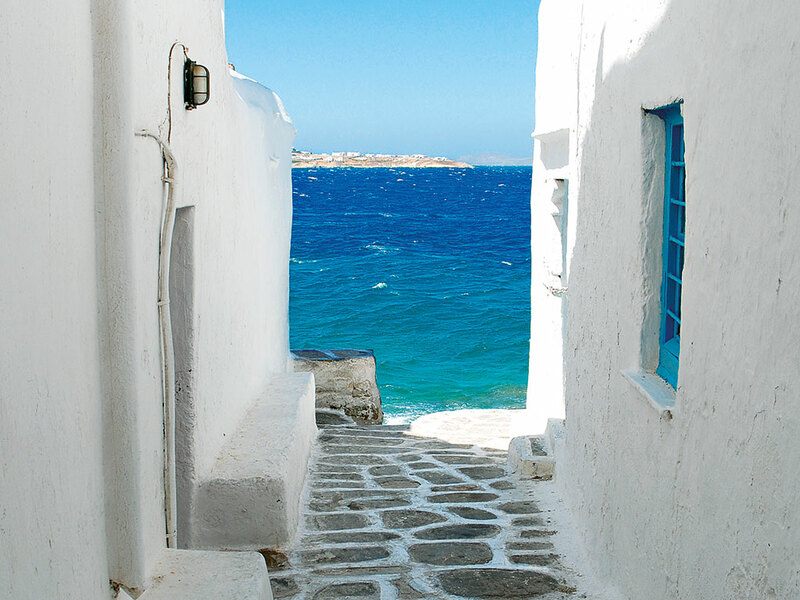 Part of the Cyclades group of islands located in the Aegean Sea, Mykonos is widely viewed as the most glamorous of the Greek isles – and with good reason. Located only a 40-minute flight from Athens, the island manages to strike a perfect balance between leisure and adventure; boasting a touch of class and quality while managing to avoid the ostentatiousness that so often accompanies such destinations. There are numerous beaches to choose from, all of which cater to a varied array of tastes. For those looking to let loose and party until dawn, there is Paradise Beach and its aptly named cousin, Super Paradise Beach. Both have a number of popular bars, generally attracting a younger crowd to their shores throughout the day. When night falls, the beaches transform into two colossal nightclubs, with people dancing into the early hours of the morning. If all that music and partying sounds like a nightmare, then Agios Ioannis is on hand to offer a welcome retreat from the noise: home of Hippie Fish, a spectacular beach restaurant and bar made famous by the cult movie Shirley Valentine, this beach possesses some of the softest sands and crystalline blue waters that the island has to offer. For those looking for the perfect blend of both worlds, the place to go is Panormos. This relaxing beach resort located to the north of the island can only be reached via private transport. Its relative remoteness helps to attract those looking for something a little different, thus guaranteeing it a place as one of Mykonos’ most popular spots. Traditionally, it is said that, of all the Greek islands in the Aegean Sea, Santorini is the home of the most beautiful sunsets. 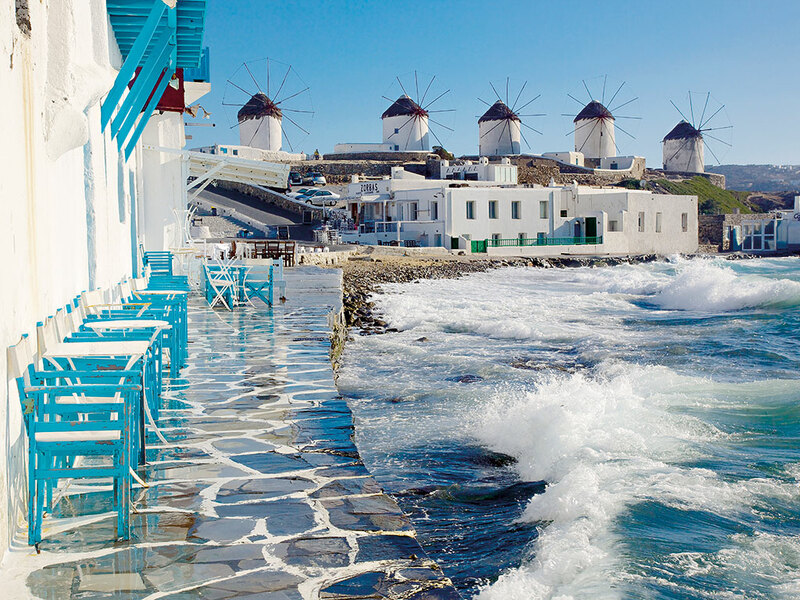 However, Little Venice in Mykonos Town provides a far superior platform from which to view the spectacle: considered to be one of the most romantic spots on the island, people flock to the various galleries, bars and cafes in order to get the world-class views of the setting sun. One potential viewing spot that is often missed by many – partially due to its inconspicuousness, and partially because those who do know about it tend to arrive as early in the evening as they can – is the small terrace balcony at the Galleraki Cocktail Bar. Those lucky enough to secure the best seat in town are advised to sample the bar’s signature Katerinaki Cocktail. Food on the island is exquisite, with fresh, reasonably priced seafood available from every beachside restaurant. In the height of the season, expect to need a reservation if you want to get a table, but during the off-peak months it is possible to walk into most places and eat right away. However, it is not essential to sit down for a meal every night, and it would undoubtedly be a mistake to travel to Greece without trying souvlaki; one of the most popular Greek forms of fast food. Another signature dish worth trying is saganaki: though the name refers to the type of frying pan in which the dish is prepared, the most common food to be served when ordered is a fried cheese, with the variety usually being graviera, kefalograviera or halloumi. As the height of the season (July and August) is when the holidaymakers who are looking to party arrive, for those looking to escape the crowds, it is best to visit in June or during the first week of September. But no matter when tourists choose to travel to the jewel of the Cyclades, they will be met by arguably the most friendly and hospitable people in world – the local islanders.